“The prospect of more Sandy Springs-style incorporations concerns people like Evan McKenzie, author of “Privatopia: Homeowner Associations and the Rise of Residential Private Government.” He worries that rich enclaves may decide to become gated communities writ large, walling themselves off from areas that are economically distressed. I can’t say I really understand McKenzie’s worry. It seems to me that a poor area would benefit even more so from this kind of contracting out than a rich area. Provided it is executed properly, a community would realize better services at lower costs, thus increasing the desirability of the neighbourhood. Businesses and the better-off would see good value, and their investments would spur further improvements. The next thing you know, you’ve got a virtuous cycle going on. There are legitimate concerns, and I’ll discuss them in the next day or so, but if you share McKenzie’s anxieties, you can rest easy. They won’t be happening. Variations on this theme are appropriate in every area where libertarians advocate voluntarism and cooperation, rather than one-size-fits-all government coercion. 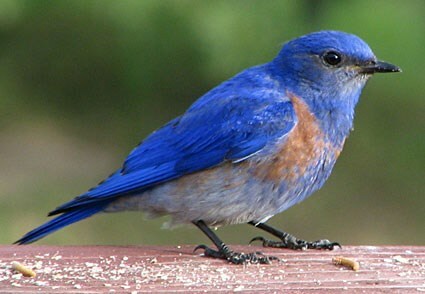 Your happy article on the reintroduction of western bluebirds (My nest or yours? May 11) was marred by the perpetuation of some myths concerning the disappearance of these beauties from our locality. Before blaming competition from introduced species, or loss of habitat, it is wise to consider why such phenomena do nothing to reduce the population of zebra finches, turkeys, budgies, or chickens. It takes only a moment to realize that the difference resides in who controls the property rights over these animals. Amongst birds that can be privately owned and traded, populations flourish. But where collective ownership is the rule and trade is prohibited, reliance on government stewardship has consistently led to disaster. It is in the best interests of neither wildlife nor humanity to place the responsibility for bluebirds, marmots, or any other vulnerable creature into the hands of agents who lack both the knowledge and the incentives to optimally manage them. The results speak for themselves. The jury is, almost literally, still out on this, but I have read of so many similar incidents that whenever there is any question as to whether or not the police have committed an injustice I can no longer give them the benefit of the doubt. Policing should be one of our most honoured and honourable professions, but so long as the constabulary answers directly to the state rather than the citizen, performance and respectability will continue to decline. I'm gonna need a closer look at your buns. Even the government acknowledges that it is really the market that protects us. And as to those items that are not voluntarily recalled despite the fact that the government declares they “pose a health risk”? What do you want to bet that those are products that are not actually dangerous, but are subject to some popular hysteria that makes recalling them politically expedient? How about saving some crappie for the rest of us? “A few years ago, you published an article on local fishing spots in the lower mainland of BC. One of the lakes you mentioned was Hatzic Lake, just east of Mission City, and indicated that it was noted for its large number and size of black crappies. The following spring and every year since (and all year long) certain people have fished the lake from early morning until late in the evening and kept everything they caught. There are now few fish left in the lake.